Lord have mercy on us. Christ hear us. manner by the merits of thy Son, pray for us. Model of the Church, pray for us. in faith and charity, pray for us. to the Son of God in His human nature, pray for us. with a full heart, impeded by no sin, pray for us. sword pierced beneath the Cross, pray for us. above all Angels and men, pray for us. O Immaculate Heart of Mary, bearing with love for all thy children upon earth, pray for us who have recourse to thee. Show to Our Heavenly Father the Wound in the Heart of Thy Son and at the same time offer again the sword that pierced thy Sorrowful and Immaculate Heart as thou suffered by compassion with Thy Divine Son for the redemption of the world. By thy intercession, through the merits of Jesus Christ, bring us to salvation. Amen. 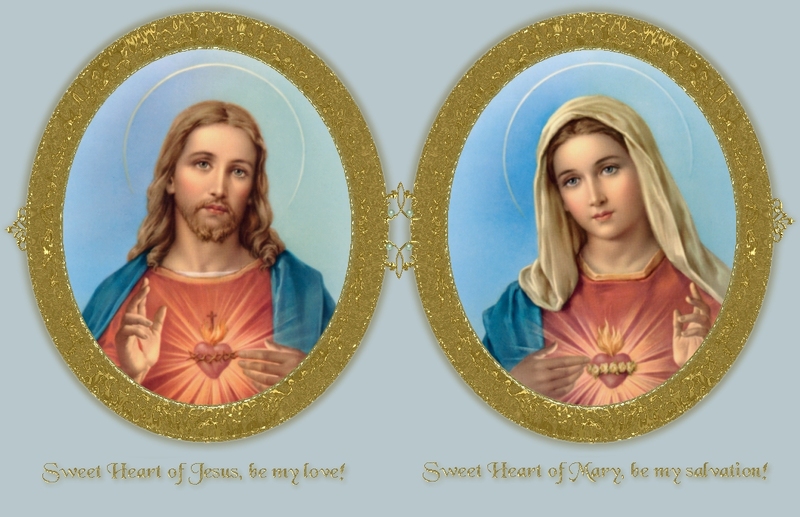 Forward takes you to the Scriptural sources for the Litany of the Sacred Heart.